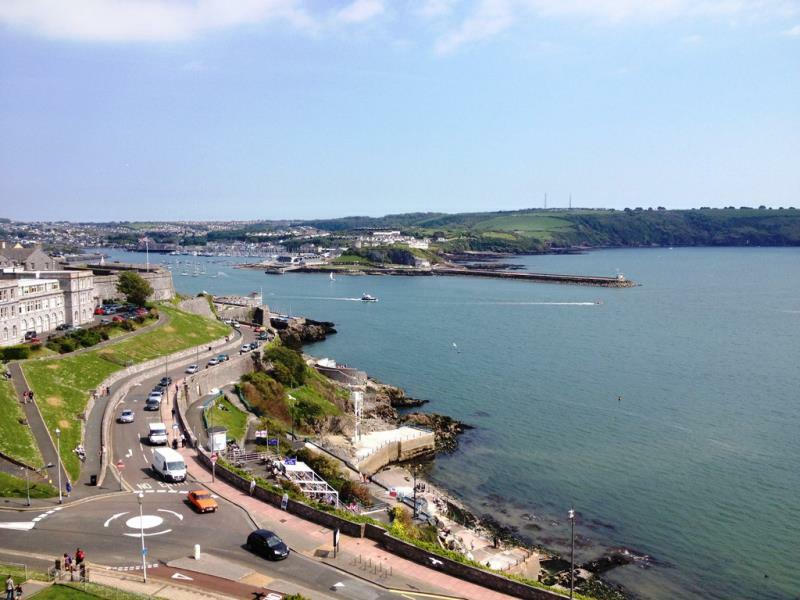 PLYMOUTH, ENGLAND – It’s quite a distance from London to Plymouth, but a visit to “Britain’s Ocean City” is well worth the journey. 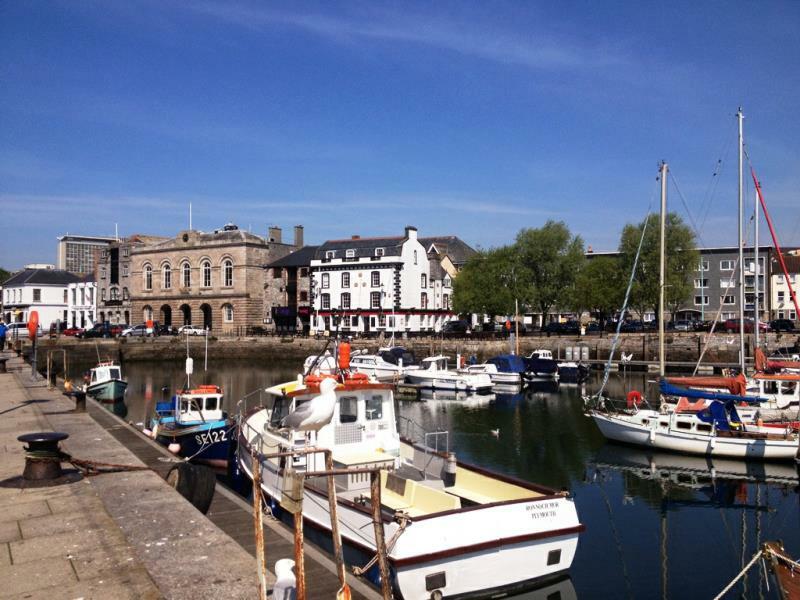 Located as it is, between the waters of the English Channel and the mysterious lands of Dartmoor, Plymouth can be an excellent base for a few days of city and country sightseeing. 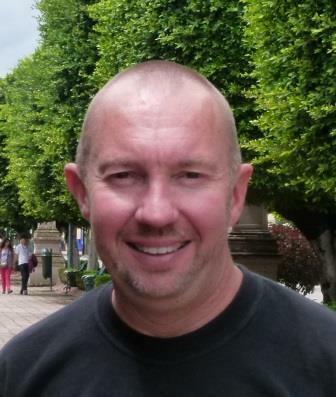 In the past, tourism took something of a back seat in Plymouth, but the current city council, realizing the potential, is focusing very much on promoting the attractions of the city and its surroundings, launching the “Britain’s Ocean City” theme, and looking for ways to upgrade the visitor experience. 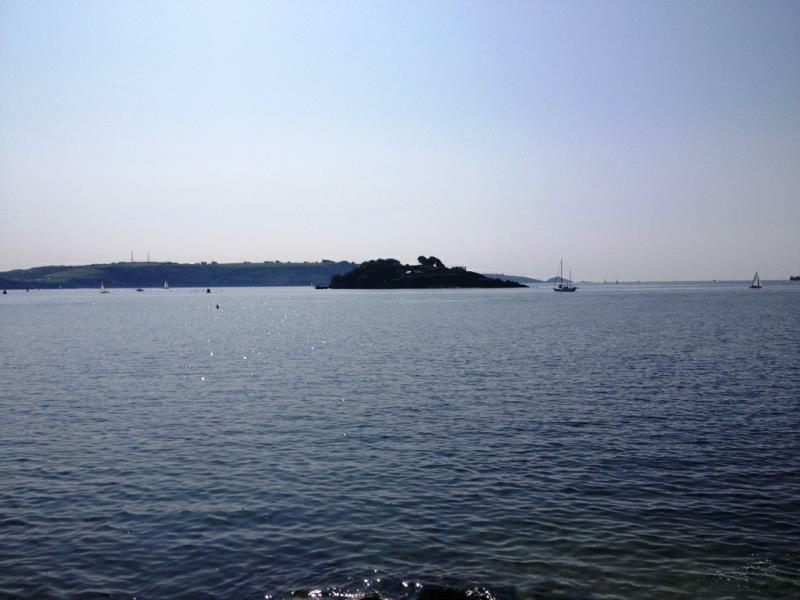 As many of us know, Plymouth is famous for being the place where, in 1620, the Pilgrim Fathers left England aboard the Mayflower, heading to the new world, where they landed at what is now Plymouth, Massachusetts. The year 2020 of course will be 400 years since this world changing event, and the city is busily preparing an agenda of events to mark the momentous anniversary. In addition to links between schools in the two Plymouths, a Plymouth, UK – Plymouth, Mass yacht race is being planned, as well as an ambitious scheme to hold an event in Plymouth, UK with all living ex-presidents of the USA in attendance. It’s an exciting time to be in Plymouth, and over lunch with Deputy Leader of the Council Peter Smith and Commodore of the Royal Western Yacht Club John Lewis, I learned more about the city, its maritime history, and grand plans for the future. Among the flagship events in the city is the annual firework competition, held in August, in which six teams from around the country complete to outdo each other with displays over two nights. On July 15 this year, the sold-out ‘MTV Crashes Plymouth’ event will occur, as the centerpiece of the city’s ‘Three Towns’ centenary celebrations, marking 100 years since Devonport, Plymouth and Stonehouse joined together to form the City of Plymouth as it is known today. The concert sold out in under half an hour, but will be shown live on MTV’s UK channels, and subsequently on other MTV network channels. Big news just announced in Plymouth is the plan to convert the existing city library and museum into the Plymouth History Center; costing a total of £21 million, the project will see the building refurbished and the exhibit areas expanded, and the uniting of five separate heritage collections in one place. Opening by 2019, the history center will become a major visitor attraction that will proudly tell the story of the city’s legends and heroes. Plymouth’s maritime history, and current day status as a yachting destination is in clear evidence at the Royal Western Yacht Club, which I was interested to learn is the 6th most senior yacht club in the world, and once counted Sir Winston Churchill as its Commodore. 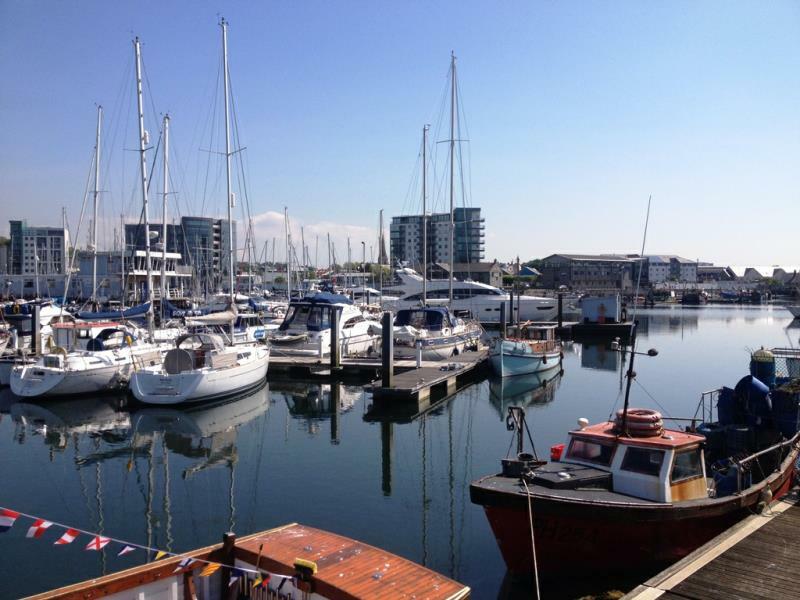 Plymouth is home to five major marinas, and the RWYC welcomes visiting sailors to its comfortable clubhouse, restaurant and bar. 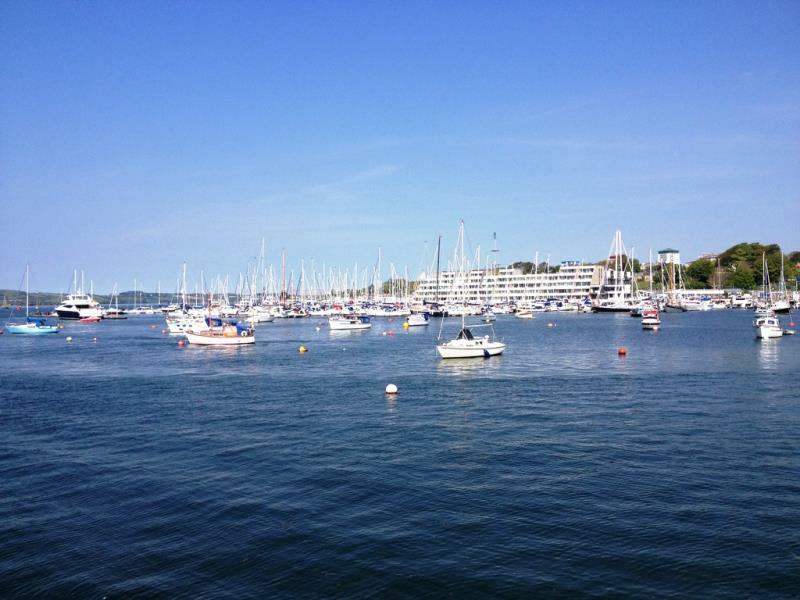 Plymouth is one of the largest natural harbors in the world, providing excellent anchorages and shelter in times of bad weather. In fact, that’s kind of how it all began – since in 1620, the Mayflower was not due to stop in Plymouth, and only did so due to bad weather in the English Channel and the need for essential repairs. Just outside Plymouth Harbor, some 40 minutes away by boat is the sunken frigate, HMS Scylla, sunk in 2004 to create an artificial reef, the first of its type in Europe, which has now become a popular dive site. 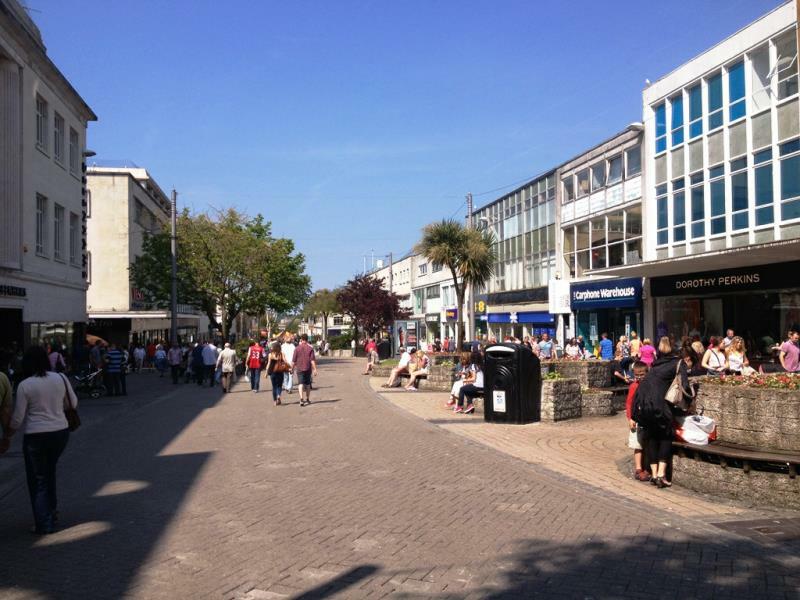 Plymouth’s ‘Barbican’ and ‘Hoe’ areas are where many of the present day attractions of the city are located, and probably where most visitors will want to concentrate their time. The Barbican is also one of the only areas of the city which avoided extensive bombing during the Second World War, and therefore still contains historic buildings dating back many centuries. 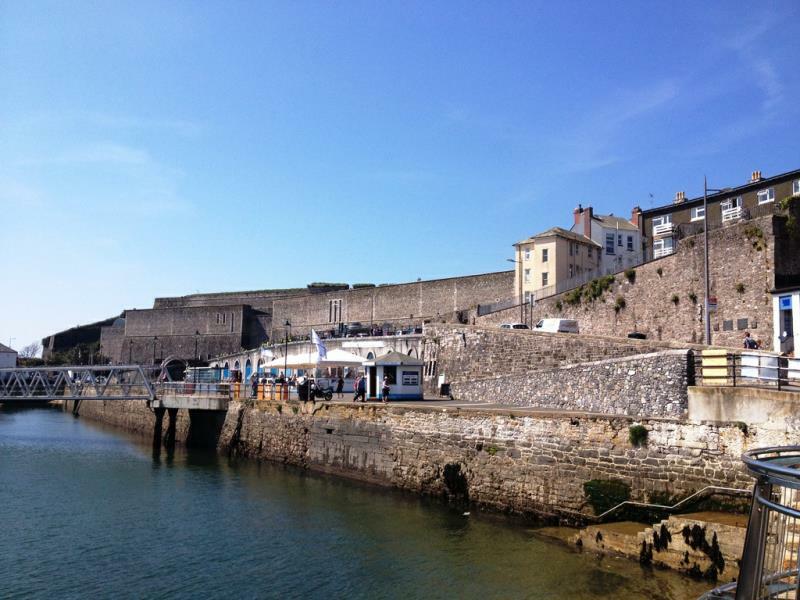 Among other attractions in this area, the Elizabethan House, Elizabethan Gardens, Mayflower Exhibition, Mayflower Steps, the Merchant’s House, and the Plymouth Gin Factory are all worth a visit. The National Marine Aquarium, located across the harbor from the Barbican (and easily accessed by a pedestrian bridge) is one of the jewels in the crown of Plymouth tourism. Opened in May, 1998, it is the UK’s largest aquarium, offering a fascinating look at the underwater world. 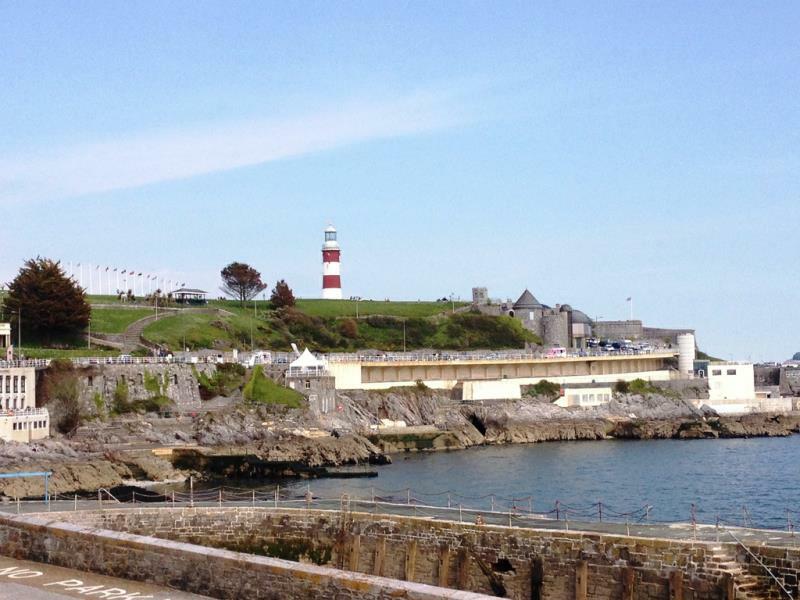 After leaving the depths at the aquarium, many visitors ascend to the lofty heights of Smeaton’s Tower, standing proudly on the Hoe promenade, and one of Plymouth’s signature sights. 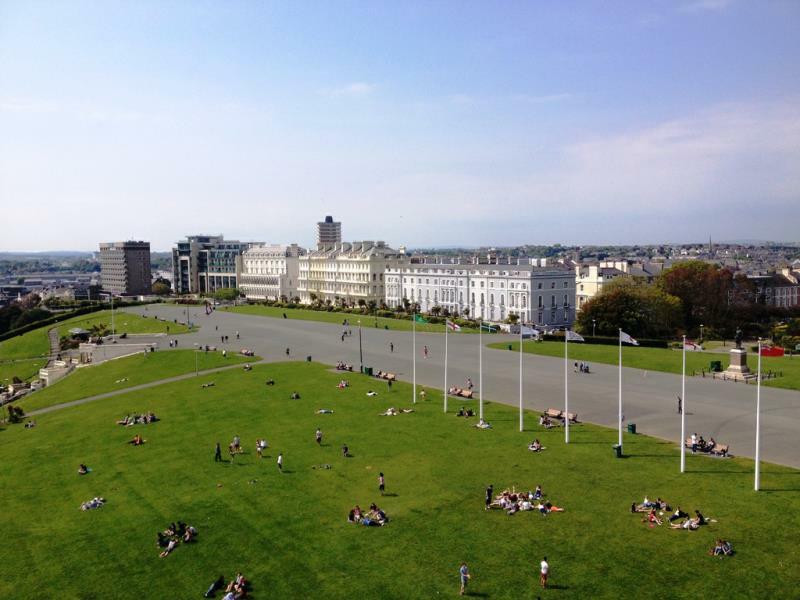 On a fine day, the views from the top are outstanding, offering a 360° panorama of the city and coastal areas nearby. 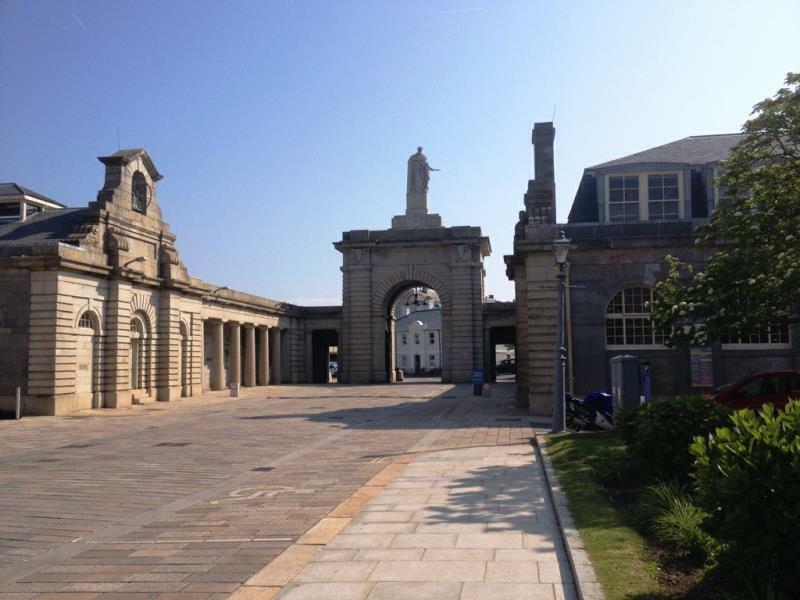 A short drive or boat ride away, the Royal William Yard is steeped in history, and a fascinating place to spend a few hours. 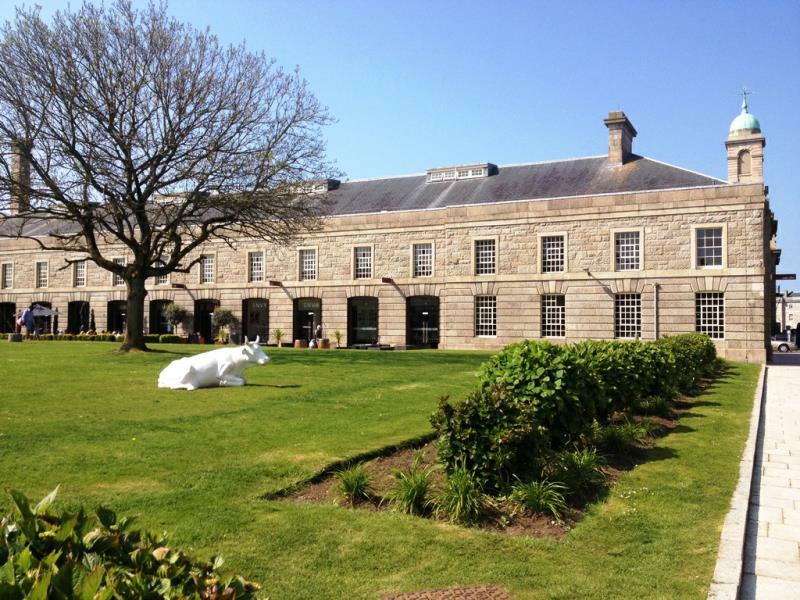 Designed by Victorian architect Sir John Rennie, and constructed between 1825 and 1831, the yard is considered to be one of the most important groups of historic military buildings in Britain, as well as the largest collection of grade 1 listed military buildings in Europe. Accessible by sea (with ferry service from the Barbican), as well as land, the yard now features an impressive selection of commercial and residential spaces, including a number of restaurants, bars, cafés, and galleries. 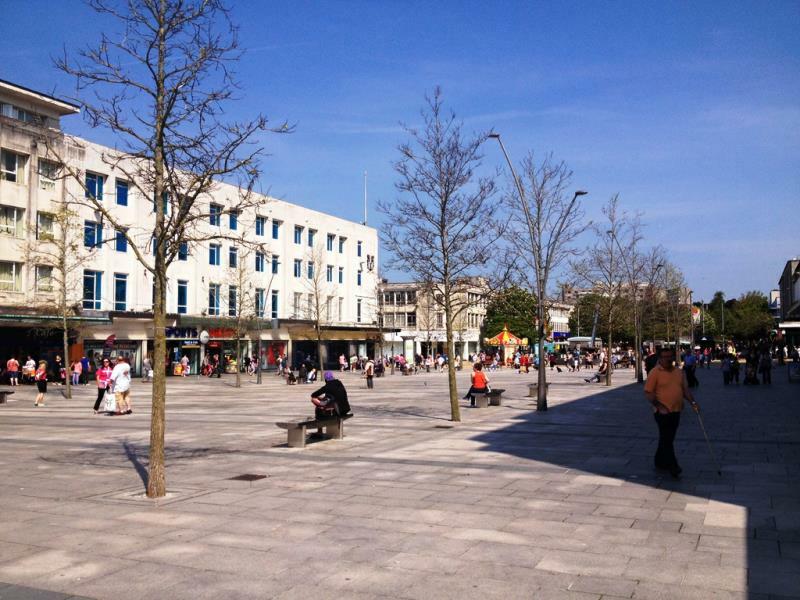 Plymouth isn’t all about history however, and modern pastimes such as shopping are well catered for in the city’s pedestrianized central area, which features major department stores, smaller shops, and the Drake Circus shopping mall. Britain is so much more than just London, and many visitors to the country fail to make the journey to the far south-west. 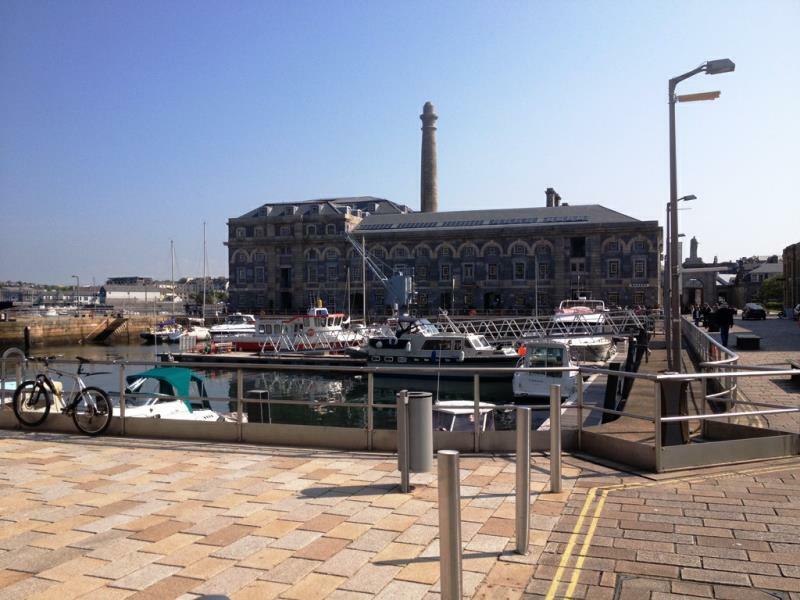 If you have the time though, Plymouth should definitely be on your itinerary; it’s a unique chance to absorb the region’s maritime history, and enjoy the sweeping views and cultural attractions the city offers. 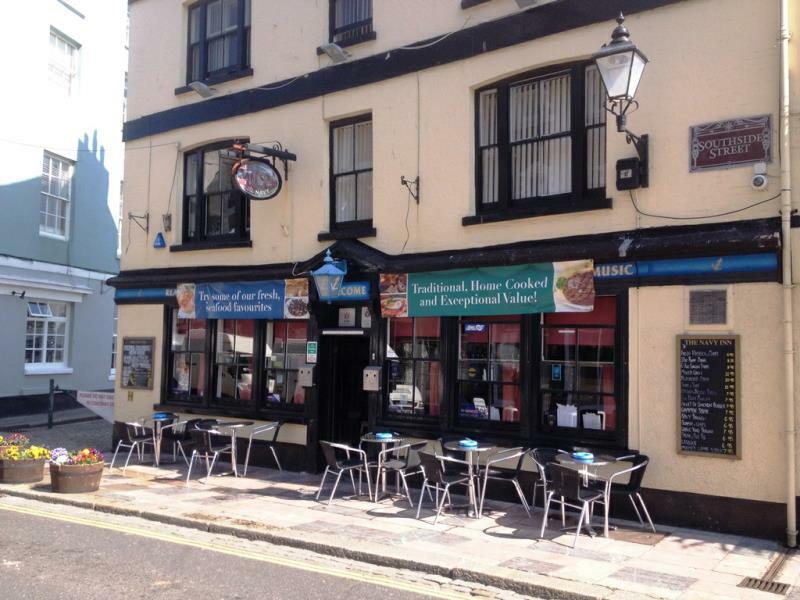 I stayed at the Best Western Duke of Cornwall Hotel, Millbay Road, Plymouth, PL1 3LG. 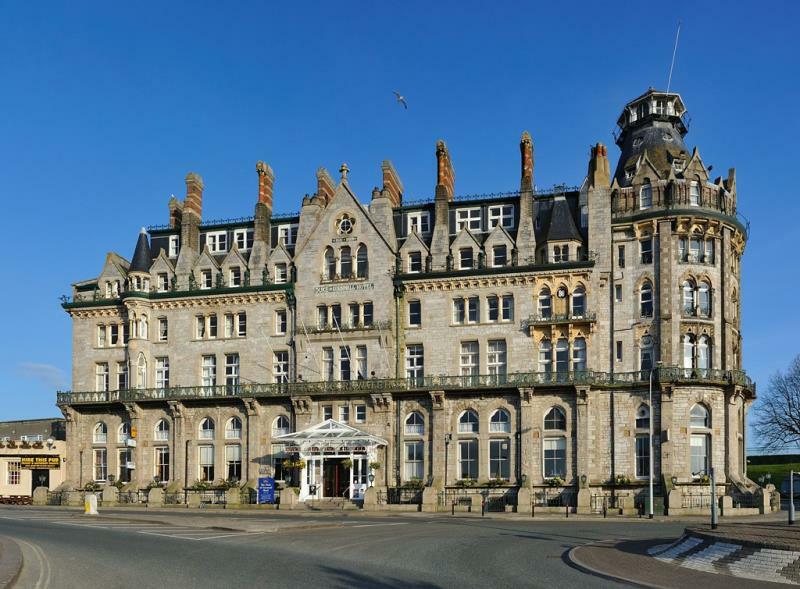 The Duke of Cornwall was Plymouth’s original luxury hotel, and today offers 72 rooms and suites, each with a unique view, some of which overlook the sea. The restaurant offers local specialties as well as a filling breakfast, and the lounge bar offers a relaxed setting for drinks and light snacks. For an exclusive and unique afternoon tea, try the Tea @ The Top experience. 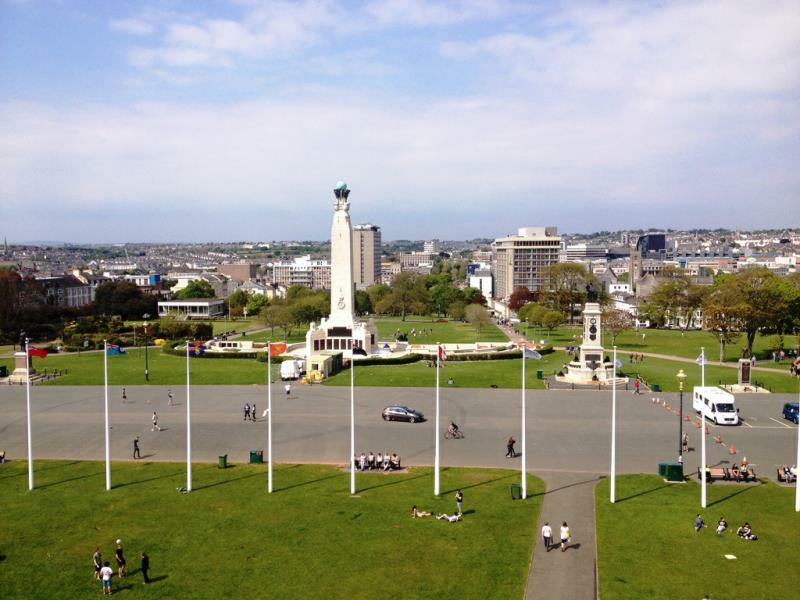 Featuring 360° views of Plymouth from the top of the hotel’s tower, it’s a private setting for two people to enjoy tea served by your very own butler! Elizabethan Gardens – Monday - Sunday, 9am – 5pm. Free. Mayflower Steps – Always open. Free. Merchant’s House – See website for opening times. Smeaton’s Tower - See website for opening times. All prices quoted were correct at time of publication, May, 2014.